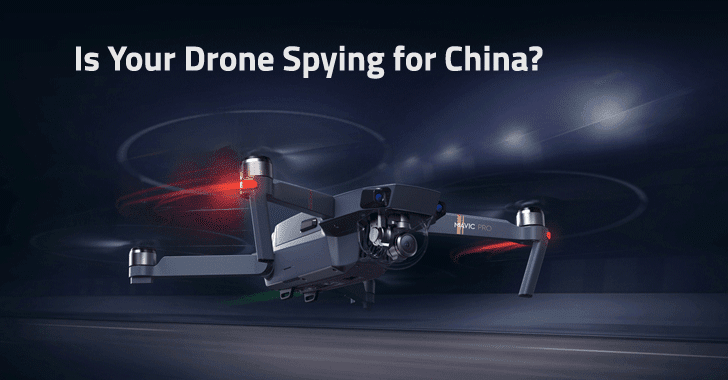 The United States Department of Homeland Security (DHS) has recently accused Da-Jiang Innovations (DJI), one of the largest drone manufacturers, of sending sensitive information about U.S. infrastructure to China through its commercial drones and software. A copy memo from the Los Angeles office of the Immigration and Customs Enforcement bureau (ICE) has begun circulating online more recently, alleging "with moderate confidence" that DJI drones may be sending US critical infrastructure and law enforcement data back to China. However, the bureau accessed "with high confidence" that this critical data collected by the DJI systems could then be used by the Chinese government to conduct physical or cyber attacks against the U.S. critical infrastructure and its population. The memo goes on to specify the targets the Chinese Government has been attempting to spy on, which includes rail systems, water systems, hazardous material storage facilities, and construction of highways, bridges, and rails. The memo, marked as "unclassified/law enforcement sensitive," was dated back to August this year, but was recently published by the Public Intelligence project. In its memo, ICE cited what it called a reliable source in the drone industry "with first and secondhand access," but did not identify it, specifying that the concern is over DJI drones used by companies and institutions, not the ones flown by hobbyists in the U.S. and elsewhere. According to ICE, the DJI drones operate on two Android smartphone apps—DJI GO and Sky Pixels—that automatically tag GPS imagery and locations, access users' phone data, and register facial recognition data even when the system is off. Beside this, ICE says the apps also capture users identification and personal information, like their full names, email addresses, phone numbers, computer credentials, images, and videos. "Much of the information collected includes proprietary and sensitive critical infrastructure data, such as detailed imagery of power control panels, security measures for critical infrastructure sites, or materials used in bridge construction," the ICE memo reads. Citing an unnamed source, ICE alleged that DJI then automatically uploads this collected information to its cloud storage systems located in China, Taiwan, and Hong Kong, which the Chinese government most likely has access to. Of course, the drone-maker has denied the allegations, saying that the memo from the US government office was based on "clearly false and misleading claims." "The allegations in the bulletin are so profoundly wrong as a factual matter that ICE should consider withdrawing it, or at least correcting its unsupportable assertions," DJI said in a statement, cited by The New York Times. According to a DJI spokesman, users have complete control over how much data they can share with the Chinese drone maker, and the automatic function offered by the DJI apps to store user flight logs can also be turned off. Moreover, the DJI has recently added a new feature that allows pilots to cut off all outside internet connections while the drone is flying. According to drone research firm Skylogic Research, DJI dominates the overall drone market with an almost two-thirds share in the United States and Canada. Not just hobbyists, but DJI drones are also used by commercial customers like contractors, police and realtors. The accusation that DJI is facing is similar to the one faced by Kaspersky Labs for spying on its users and sending the stolen data back to the Russian government. The DHS has also banned Kaspersky antivirus products in US government agencies over Russian spying fears without actually having any substantial evidence. The company has always denied any direct involvement with the Russian spies in the alleged incident.